Blizzard Snow Removal has been providing reliable and efficient snow removal services for commercial and industrial properties since 1977. We have well a maintained fleet of snow plows, deicing spreaders, dump trucks, loaders, and specialty equipment to service any size job. We are a full-service snow removal company with a focus on quality! No matter what the size is of your property, we will keep your winter weather worries to a minimum, knowing your property will be cleared of snow and ice in a prompt and professional manner. We are fully insured with workmen’s compensation and liability insurance. From manufacturing plants & factories to retail outlets to offices to subdivision streets, we are able to service any commercial or industrial property. We’ll ensure that your parking lots are clear! We service Macomb, Oakland & St. Clair County, Michigan. Our company is equipped with a great team and the proper equipment to service any size commercial or industrial snow maintenance job. With over 40 years of experience, you can count on our team of professionals to get your property in excellent condition so that your business can operate efficiently. Don’t trust your business with a part-timer – work with a professional company that you can trust! We offer both seasonal or per push contracts for snow plowing and maintenance services. 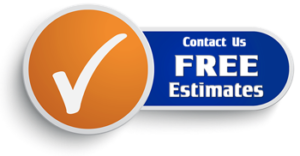 Give us a call today for a free estimate to discuss rates and pricing that will work for you! Contact us today for a FREE snow maintenance estimate! Providing snow removal, plowing & maintenance since 1977.